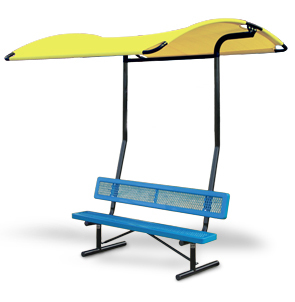 Made from highly durable, fade resistant polyethylene fabric, this table shade will be sure to keep those harmful UV rays away from your skin. 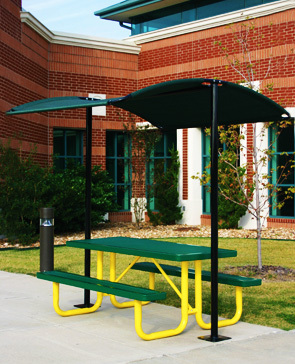 This fade resistant outdoor shade is a friendly addition to school and park seating areas. Long lasting shade will protect your outdoor furniture from damaging weather and is engineered to withstand winds up to 90 mph. Shade is available in the colors shown below. Mini-Shade Attachment: 87"L x 84"W.